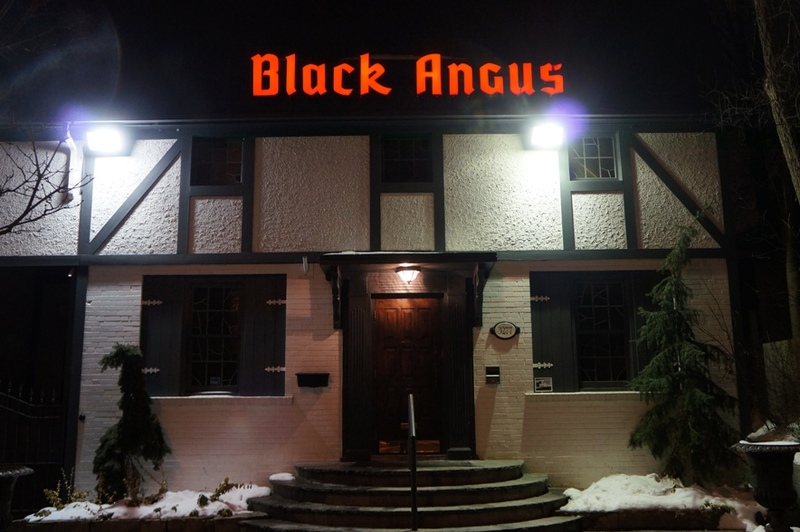 Located in Etobicoke, Black Angus Steak House was established in 1964 and doesn’t look like it has changed much since then. 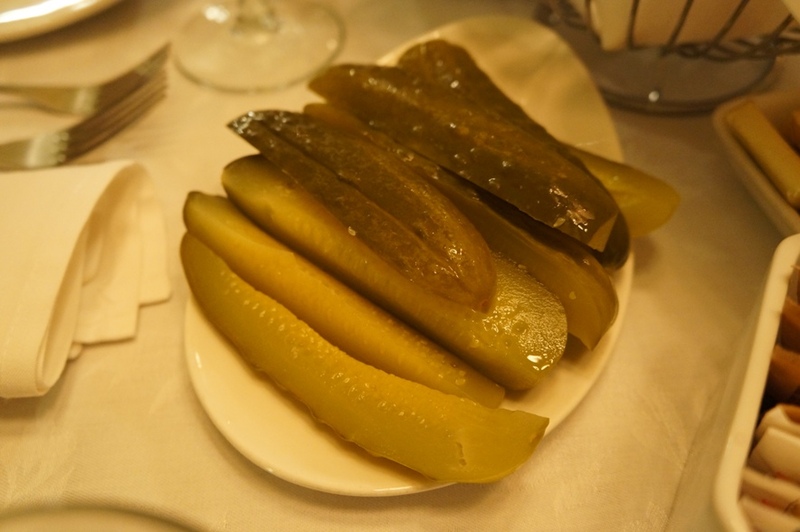 It reminded me a lot of Barberian’s Steak House except a little less stuffy. 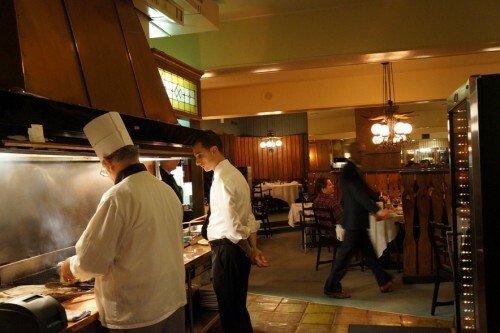 The décor is really old school and even the servers look like they’ve been working here since it first opened. Once you enter the restaurant, you’ll find the grill to your left – very open concept! We came here for my friend Chris’ birthday on a Saturday night. His girlfriend Jo tried to make a reservation but was told they don’t take reservations on weekends. We arrived around 8 and luckily we didn’t have to wait. Seemed like a lot of people here were regulars. 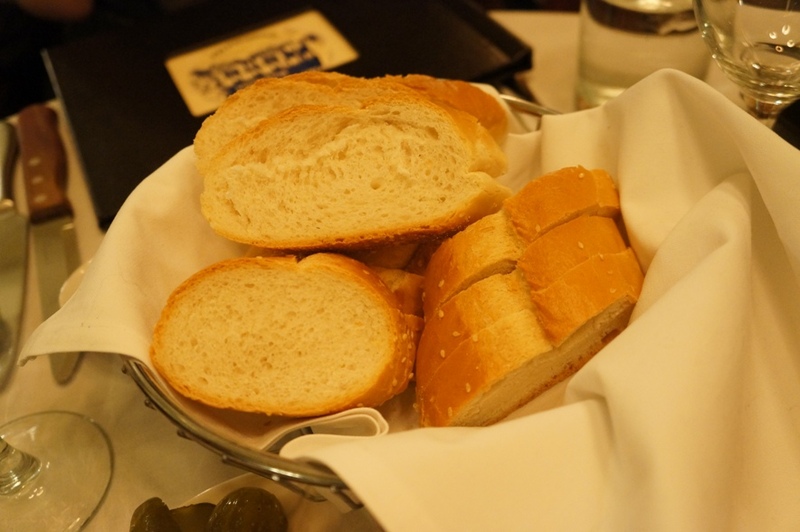 Immediately after we were seated, our server asked us if we wanted garlic bread – be careful, garlic bread is not free and they don’t tell you it costs extra. 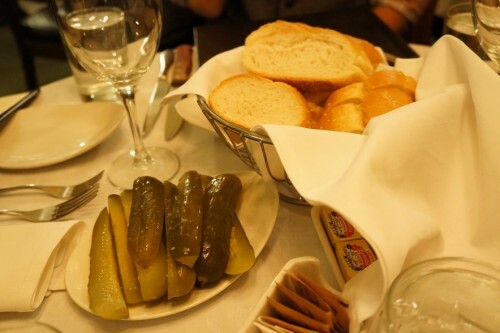 We just went with the complimentary bread which wasn’t anything to write home about. The bread also came with some complimentary pickles (just like at Barberian’s). 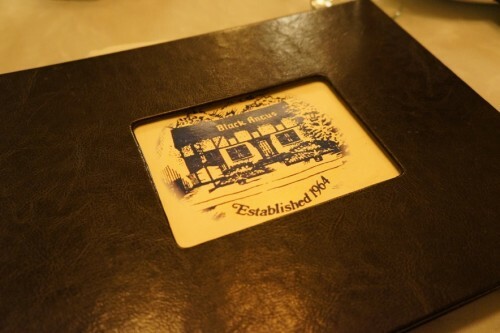 The menu consists of the usual steakhouse fare (French onion soup, shrimp cocktail, etc) and if you’re not a meat-eater, they do have a few seafood options including salmon, crab legs and lobster tails. 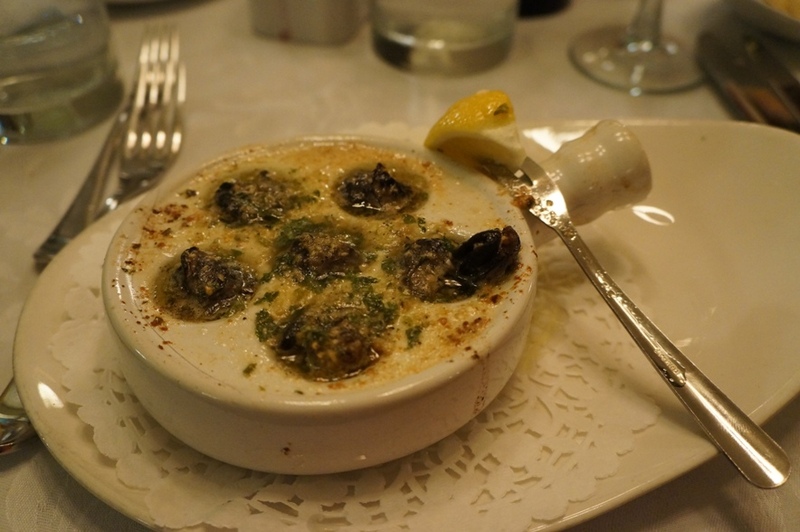 I started off with the Escargot – a traditional recipe ($7). I love escargot and to be honest, I can’t remember the last time I had a really bad one. 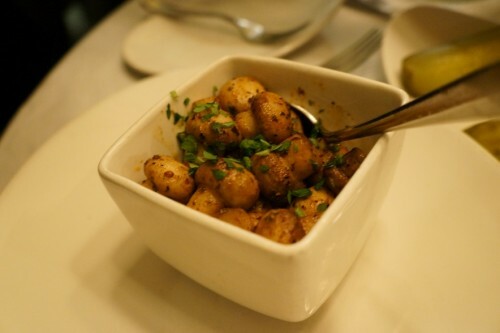 The dish here was pretty solid and I soaked up every bit of the butter with the complimentary bread. Even with the unimpressive bread, it was a very satisfying dish. 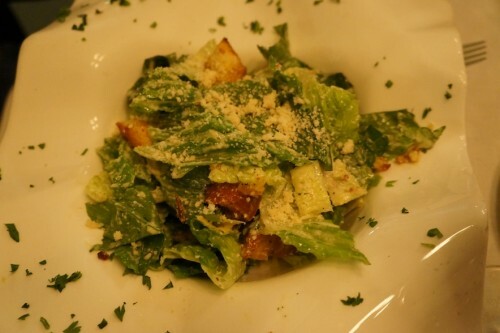 Mike ordered the Black Angus Caesar Salad – with a hint of curry ($9) to start. While it wasn’t a bad Caesar salad, it wasn’t very memorable and we couldn’t really taste the “hint of curry” that the menu advertised. Nothing beats the tableside Caesar salad from Jacobs Steakhouse. 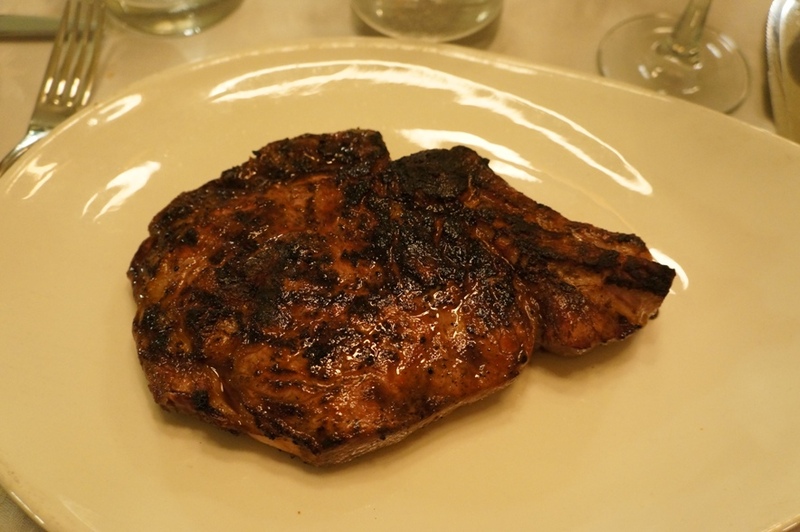 Since Mike and I had a really late lunch, we shared the 20oz Rib Steak Bone-In – a tender cut and a Black Angus favourite ($46). When we said we were going to share, our server said that there would be an extra charge but subsequently talked to the manager and told us it would be waived since we were ordering appetizers, sides and a bottle of wine too. Thank goodness! I wouldn’t be fussed about a sharing charge if all we were ordering was a steak to share but we did order a lot of other food and a bottle of wine to make up for it. Anyway, all the steaks here are charbroiled on the grill and the result was a damn good steak! It was well seasoned, tender and perfectly cooked (medium rare, like we had asked). 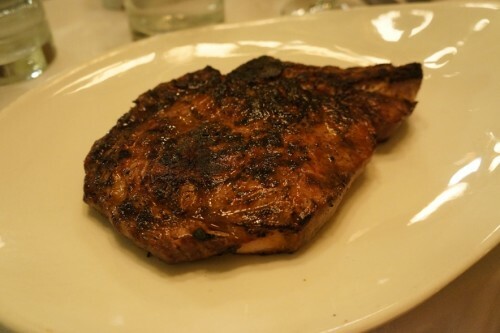 Chris also ordered this steak and he must’ve come hungry since he polished it all off himself. All entrees come with a choice of fries, garlic mashed potatoes or a baked potato. 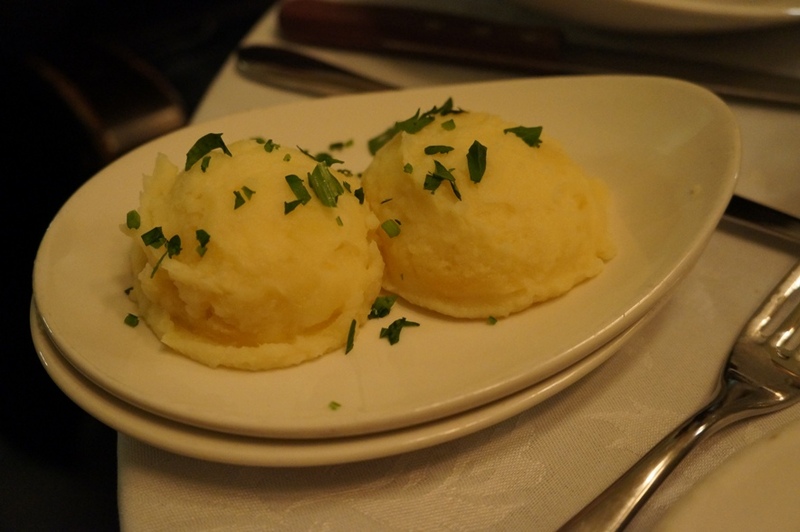 I went with the garlic mash which was nice and garlicky. Jo ordered the 9oz New York Sirloin ($33). I didn’t try any of it but she was quite pleased with the result. For some sides, we ordered the Sautéed Mushrooms ($7) which I wasn’t a huge fan of. I only had a few mushrooms but they had a strange flavour to them which I couldn’t identify. The better of the two sides we ordered was the Onion Rings for Two ($5.50). 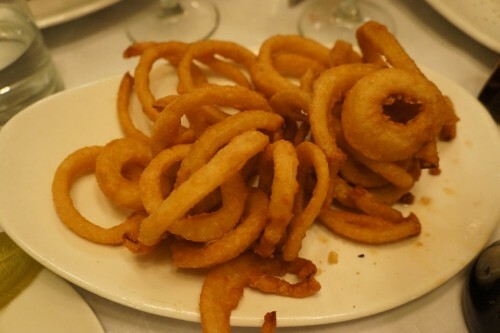 In contrast to the small bowl of mushrooms, we received a huge plate of onion rings – more than enough for four people. 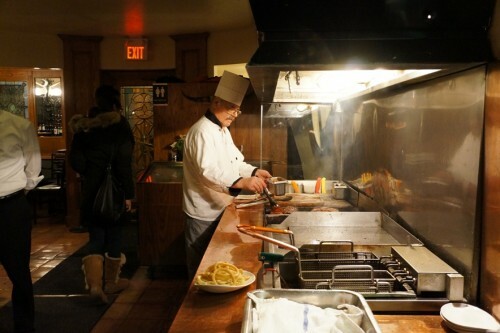 Although the non-steak items weren’t all too impressive, Black Angus Steak House sure knows how to make a good steak. 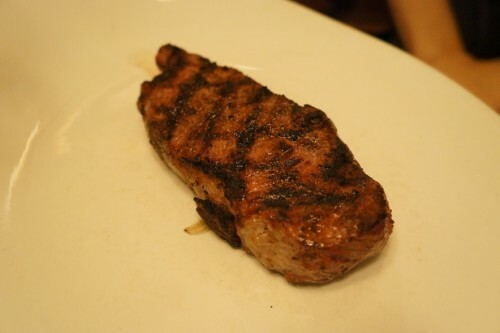 It isn’t my favourite steakhouse in the GTA but if you’re looking for a good piece of meat in Etobicoke, this is definitely worth checking out! I love it there!!! Thx for sharing!